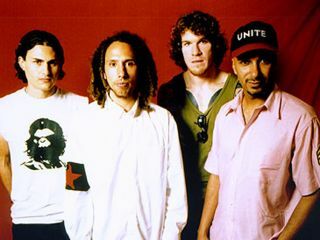 The reunited Rage Against The Machine will live up to their name on September 3 when they perform at the Target Center in Minneapolis, Minnesota - which not so coincidentally is the same week as the Republican National Convention in the nearby city of St. Paul. The band has lashed out at the Bush administration at other shows this year, including last weekend's Lollapalooza festival in Chicago. Guitarist Tom Morello expressed interest this summer in performing during both party conventions. Rage also performed during the Democratic National Convention in 2000 in Los Angeles, a free outdoor show that turned into a melee where police used tear gas and pepper spray on the crowd. And to think, people don't call Rage a party band.